My art reflects my life experience. Sometimes I illustrate joy, especially when drawing and painting children or animals. I also use my art to describe things I do not understand, such as our inability to respect each other's humanity. The latter work falls into the social justice category and has been shown all over the country, from Washington D.C. to California. I feel this is an important mission for myself as an artist because we live in a society where our individual contributions as voters are diminished by corporate and military influence. I paint in oils and acrylics, draw in black and white, as well as colored charcoal pastel, etch and carve prints. 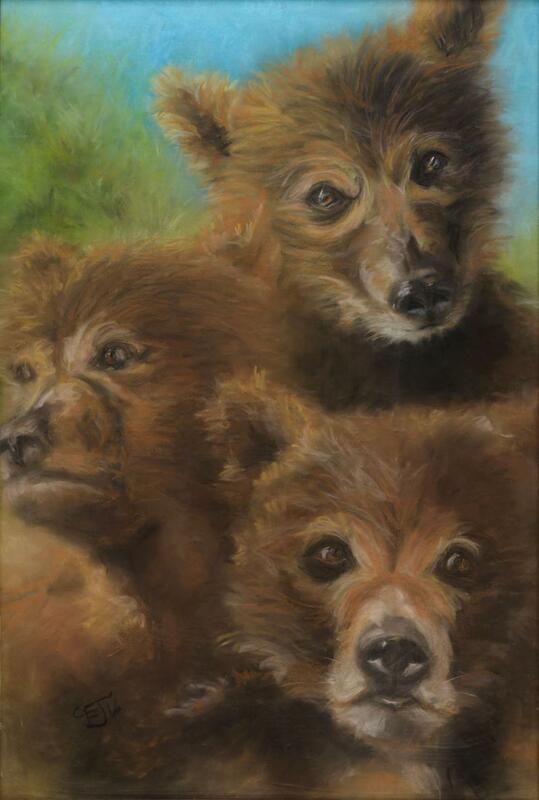 Some of my art is representational, reflecting my figurative training at Gage Academy of Art. Other stories are best expressed with abstraction or in print form. Whichever creative form we choose, we add our personal story to our collective history. Thanks for clicking on my website. Enjoy! One of my social commentary paintings was mentioned in a Washington Post art review! 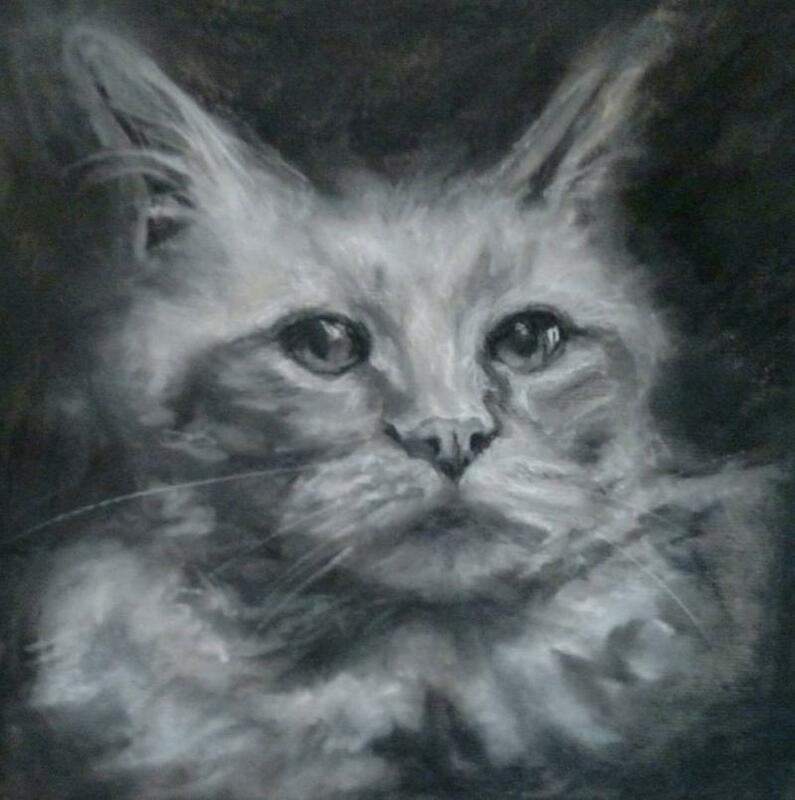 I draw and paint portraits of people and animals in pastel (bears to the left), charcoal (cat below), and oils. Contact me for a portrait of your loved one and/or your pet. 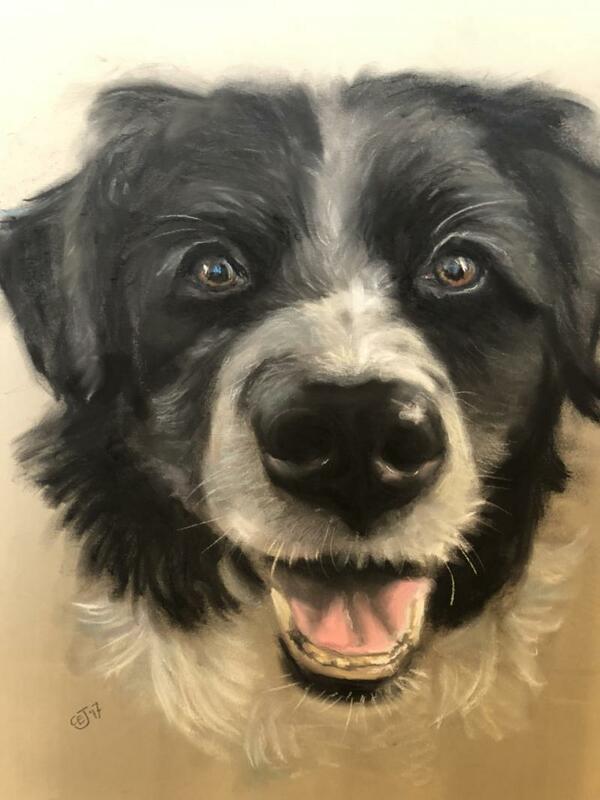 I created the portrait of Harley as a remembrance for a dear friend. Pets are an important part of our families and it is always an honor to do a portrait of a beloved animal. Contact me for a portrait! 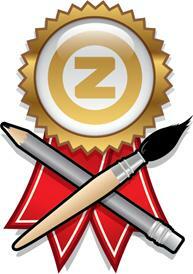 You can also find me on Thumbtack for information about fine art and mural services.